Long-standing traditional home brewery offering an assortment of vibrant beers. Discover our home brewery and its history. While their tastes may differ, all of the beers produced in our home brewery have one thing in common: the love and craftsmanship that go into them. Domus Brahaus home brewery has been around since September 1985. 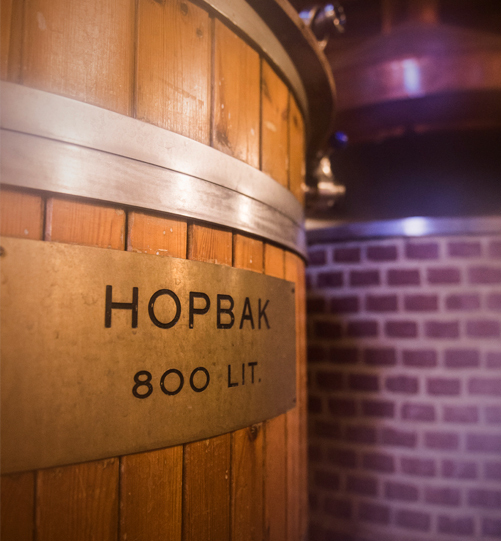 Back then, we were the first traditional home brewery in the Benelux, instantly making us a pioneer on the scene. We know what your question is already: what is a ‘home brewery’? All you have to do is separate the two words, ‘home’ and ‘brewery’ and you’ll know the answer: it’s a small brewery directly connected to a restaurant. Our beers travel via a pipeline directly from the brewery to the bar and into your glass. Our home brewery currently produces three different beers: guests can drink the Con Domus and Nostra Domus all year round. We also offer a seasonal beer for a touch of variety. One thing is certain: you can taste the love and brewing expertise in every sip of our beer. 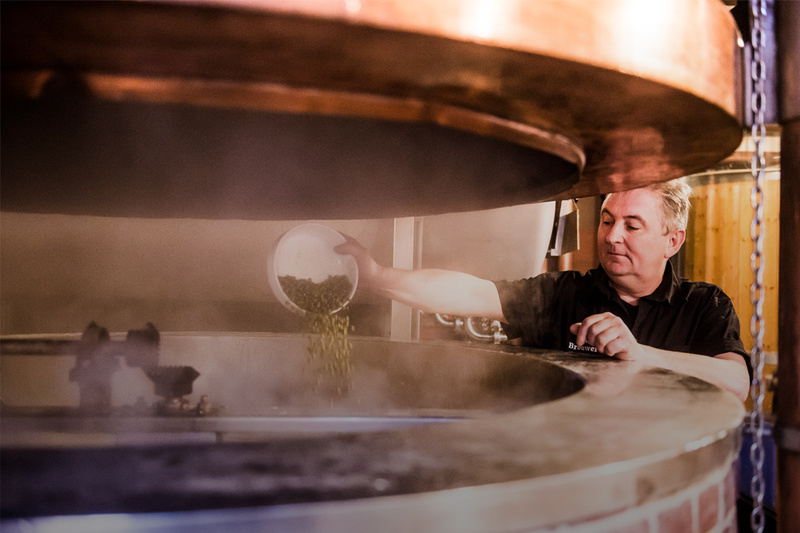 We use only the best ingredients, and the brewing process is not forced or accelerated. At Domus, the beer is given time to ferment and mature according to traditional methods. The result: natural beers that travel via a pipeline directly from the brewery to the bar in the brasserie. Come and try our beers for yourself – we look forward to welcoming you. €10,00 Guided tour through our home brewery including a tasting session featuring our three house beers. €8,00 Guided tour through our home brewery including a tasting session featuring our two house beers. €10,50 Guided tour of home brewery including a tasting session featuring our two house beers and cold snacks: cheese, salami, olives and anchovies. €11,00 Guided tour of home brewery including a tasting session featuring our two house beers and warm snacks: meat croquettes, cheese balls, spring rolls, butterfly scampi and chicken fingers. €12,50 Guided tour of home brewery including a tasting session featuring our three house beers and cold snacks: cheese, salami, olives and anchovies. €13,00 Guided tour of home brewery including a tasting session featuring our three house beers and warm snacks: meat croquettes, cheese balls, spring rolls, butterfly scampi and chicken fingers. €32,00 Visit to our home brewery, followed by a three-course dinner prepared using beers brewed at Domus. Starter: mushroom soup prepared and served with Con Domus. Main course: meat stew prepared with Nostra Domus beer and served with salad, French fries and Nostra Domus. Dessert: freshly whipped zabaglione prepared and served with Domus seasonal beer. €38,00 Visit to our home brewery, followed by a three-course dinner prepared with three beers brewed at Domus. Starter: black pudding with Con Domus mousse, served with Con Domus. Main course: pork tenderloin with sauce based on Nostra Domus beer, mushrooms, salad and croquettes. Dessert: crème brûlée prepared and served with Domus seasonal beer. €4,00 Still & sparkling water and coffee or tea following the set menu. Per group / the same formula.